Post-traumatic stress is a condition of persistent mental and emotional stress occurring as a result of injury or severe psychological shock, typically involving disturbance of sleep and constant vivid recall of the experience, with dulled responses to others and to the outside world. Most studies show an estimate of one in five Veterans returning from Iraq and Afghanistan experience symptoms of Post-traumatic stress or major depression. When Post-traumatic stress is left untreated it may lead to drug use, alcohol abuse, sleep disturbances, unemployment and suicide. 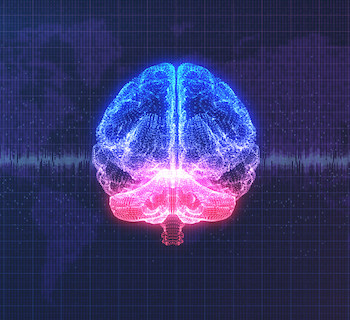 Post-traumatic stress symptoms develop from dysfunction in two key areas in the brain. Detect threats in the environment and activate the “fight or flight” response. Activate the sympathetic nervous system to help you deal with the threat. Help you store new emotional or threat-related memories. Make decisions about the best response to a situation. Determine the meaning and emotional significance of events. When the brain senses a threat the amygdala goes into “fight or flight” response involving the release of adrenalin, norepinephrine, and glucose to rev up your brain and body. The prefrontal cortex consciously assesses the threat and either accentuate or calms down the “fight or flight” response. People with post-traumatic stress may show a hyper-reactive amygdala and less activated medial PFC. Our soldiers have risked both their physical and mental health to keep our country safe and free. 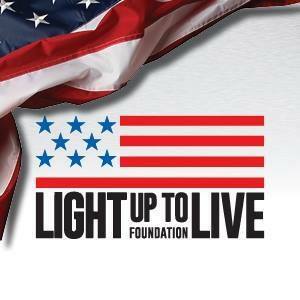 Light Up To Live Foundation is a 501 (c) (3) founded by Randall and Sherry Reed. As a military family, they are dedicated to raising awareness about the members of our U.S. Armed Forces and Veterans living with the effects of Post-Traumatic Stress, Traumatic Brain Injury (TBI), tissue injury, pain and depression. The foundation funds polychromatic light therapy systems that have been shown to increase blood flow in the body and reduce associated minor pain for active military and Veterans that we identify could most benefit from its use. Light Up To Live helps connect these military members and their families to other organizations that are in alignment with our mission to provide direct aid and assistance. We want to light a path to better health. The foundation holds three annual charity events to help complete the mission. Funding of Service Dogs trained specifically for use by Veterans living with PTS, TBI and physical injuries to enhance their daily adaptive living needs – including 18 months of training and five years of canine food and veterinary care. If you are interested in joining forces with our mission, our next Light Up To Live charity events will take place September 12-14th. The weekend will include our annual golf tournament, clay shoot and gala. More details are coming soon. Please make sure to follow our Facebook, Twitter and Instagram for the latest information. If you are looking for a way to give back to our Veterans in need, lightuptolive.org always welcomes donations as well as volunteers during our events. Click donate, to learn more.